Amy Eight was so insistent that something be done about the problem of the missing cake for the evening’s party, she said we’d have it even if she had to bake it herself! She was impatient to celebrate both the Ninosaur’s birthday and finding the cake: “We’ll have the most EXHUBERANT party in the world!” She may be tiny but she’s powerful in word and deed. Asserter children are so energetic, they may tire their care-givers out and are sometimes misunderstood or blamed wrongly. * have a great deal of energy? * always make his or her presence known? * show anger or disagreement freely? * have a fast-running motor and need down time? * speak and act with authority? Followed by some cartoons about how protective Asserter children can be. Read also about the other eight styles of children in both books. After I wrote “The Enneagram of Parenting,” I decided to write a book for teaching children the Enneagram. 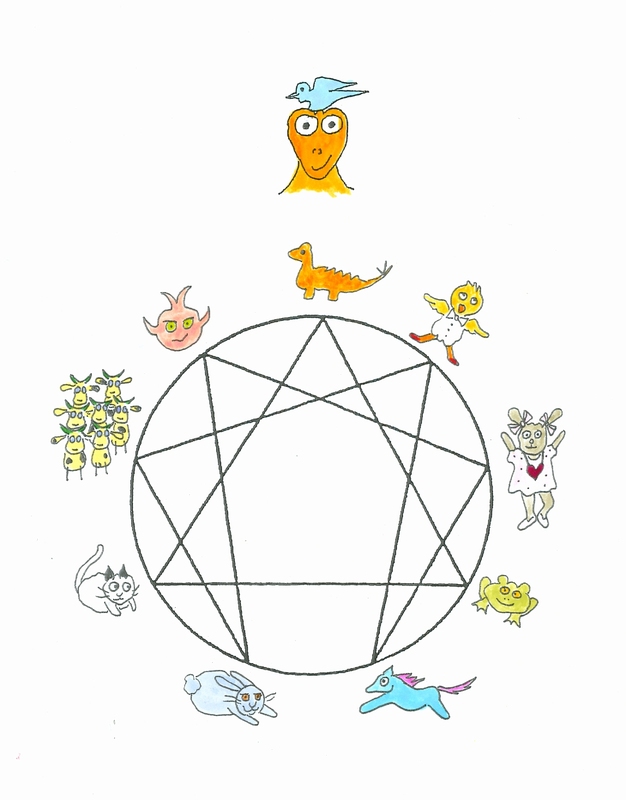 Children had been learning the Enneagram from my Enneagram of Parenting book from looking at the many cartoons, but I wanted to write a book specifically for younger children from six or younger to ten. My first dilemma was: how would kids see my drawings as representing types of people? I was afraid if I drew human characters they might resemble someone a child might know, a neighbor kid for example, which could confuse them. So I decided to use animals. I wondered if I should have a fierce animal for the most assertive type and a gentle animal for a gentle personality. 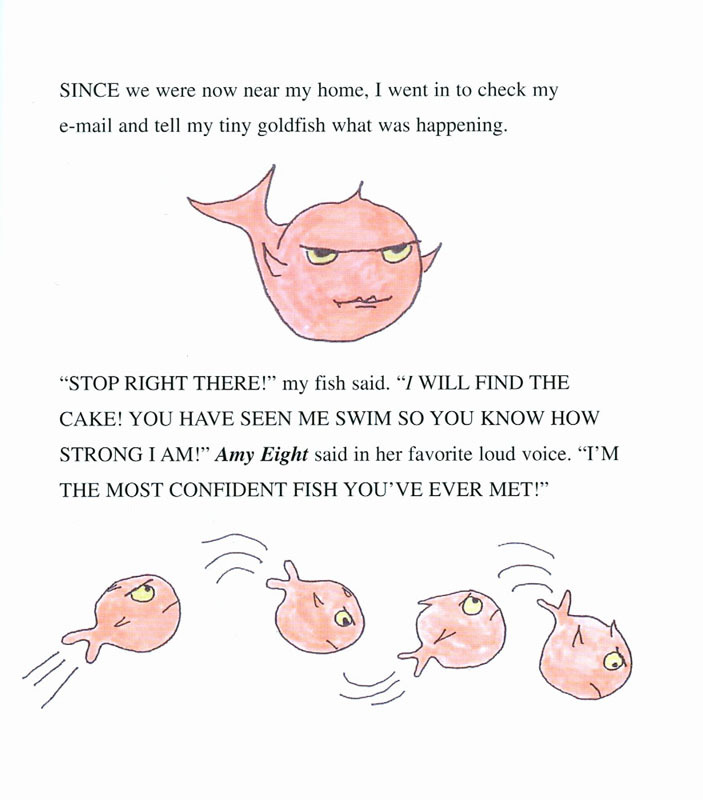 I decided to go against stereotyping, so I made a tiny goldfish represent the most assertive type. At the end of each type’s section we hear the character that represents that type say something like, “I hope we find the cake soon so we can have the most PERFECT party!” – or whatever adjective best describes its type’s idea of a great party. Freddy Five, the Observer rabbit, wants to have the most INTERESTING party in the world. By the end of the book we have met all the characters and the mystery of the missing cake has been solved. You won’t guess what happened to the cake in a million years. It does turn up, though, so the party goes on. There’s a moral to the story, too. 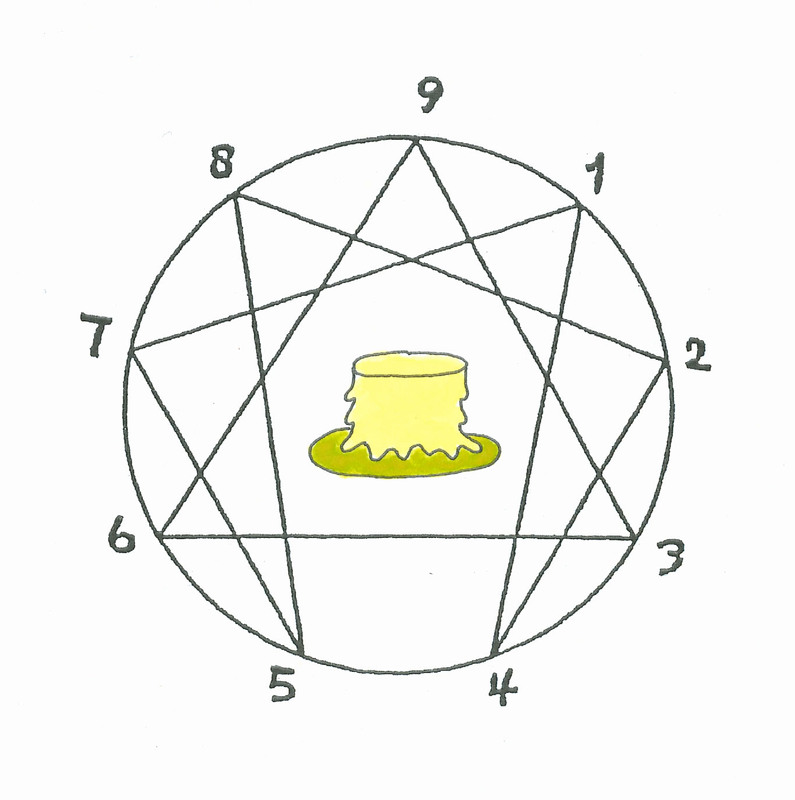 In addition, the Enneagram does its own magic by showing children nine different styles of behaving that are all perfectly acceptable and honored. Children will recognize themselves and friends and family in this book and they’ll notice that personality differences really do exist and that they’re okay. Even good! It’s an excellent book to use in schoolrooms and families to further the value of tolerance.